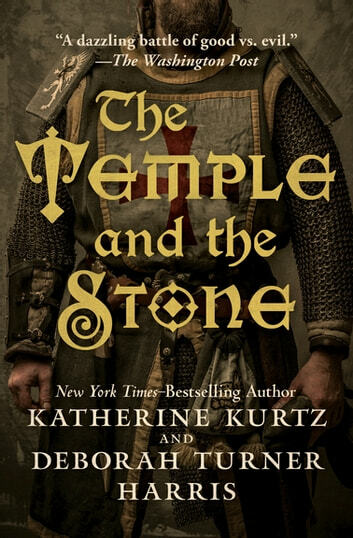 During the fight for Scotland’s independence, the mystical Order of the Knights Templar battles ancient evil and a treacherous king in this gripping alternate history. A powerful order of warrior monks forged in the fires of the Crusades during the twelfth century, the legendary Knights Templar did not vanish entirely following their failed campaigns in the Holy Land. Having attained great power and arcane skill, they withdrew from the public eye but remained hidden in the shadows, prepared to do battle against the enemies of Christianity and the adherents of the old malevolent gods. Now, these noble defenders of the faith recognize Scotland as the next battleground, foretold in dreams and visions, as legendary Scottish heroes William “Braveheart” Wallace and Robert the Bruce take up arms against the forces of the English King Edward I in the terrible Anglo-Scottish War. Charged with establishing their holy fellowship’s temple in the disputed land, loyal knights Arnault de Saint Clair, the French cleric, and Torquil Lennox of Scottish birth arrive in the midst of the bloody conflict to help prevent the conquest of Scotland and assure the ascension of its rightful liege. But the magical stone upon which every Scottish king must be crowned has been drained of its mystical power, and only an extreme sacrifice can revive the magic. A perilous endeavor must be undertaken to stem the supernatural evil that is growing amidst the chaos in the land as a powerful Pictish shaman attempts to raise the ancient pagan gods from the darkness to feed on blood and terror. 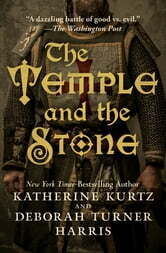 Coauthors of the acclaimed Adept historical fantasy series, Katherine Kurtz and Deborah Turner Harris imagine an alternate history that will appeal to fans of the occult, Scottish history, and the fabled Knights Templar.